At Paris Family Dental, our entire team works together to make sure that your first visit is relaxing and goes smoothly from the moment you enter our door. Our front desk team will greet you warmly and walk you through the paperwork needed, all the while answering any questions you may have about payment, treatment, etc. After filling out the necessary paperwork, our dental team won’t keep you waiting. Your time is valuable to us and we will begin your dental treatment as soon as possible. 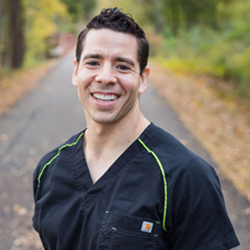 Rest assured that our hygienists, assistants, and Dr. Del Toro will put your comfort, safety, and oral hygiene above all else when you are receiving dental care at our office. We will work with you to determine the best course of action to improve the health and appearance of your smile. Our team is dedicated to getting you in and out when it comes to dental appointments. We know that your schedule is busy and we want to make sure that you can return to your daily activities as soon as possible. In order to cut down on the time you will be at our office, we’ve provided our new patient paperwork below. Simply click on either the English or Spanish version below, print and fill out the forms in order to complete your paperwork before you even enter our office! Call us today at (903) 732-0061 to schedule your new patient appointment or for questions regarding your first visit!